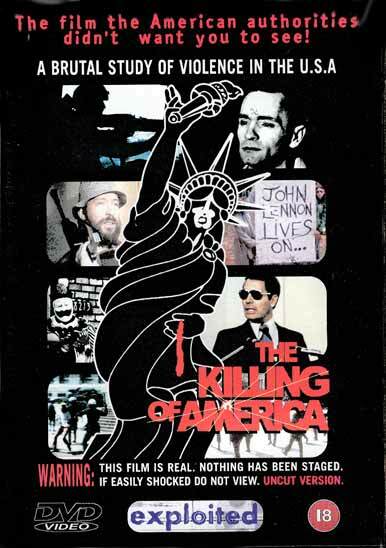 Before Michael Moore, Alex Jones and any other renegade film-maker, conspiracy theorist or general screwball had the balls to point at critical finger at their own country, there was The Killing of America. 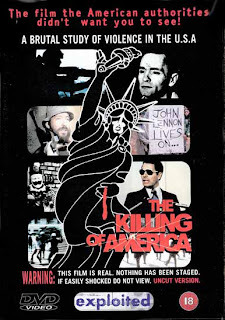 It is simply a documentary that shows that there is something rotten in the states of America. There's killings and suicides and police brutality and all kinds of nasty things going on, all across the nation. And even though the extreme scenes of violence and disturbed ideology is shocking enough, you must remember that this was made at the dawn of the yuppie age, when America was on a roll, and everything seemed to be going oh, so well. You could actually consider it to be a precursor to American Psycho. The film caused much uproar when it first came out and was promptly banned all over the world. Still, the most upsetting scenes are simply those of young protesters carrying signs and singing songs, before getting beaten down by zealous police, to the soundtrack of "Stop, Children".